Jeff: Welcome to YPN News. 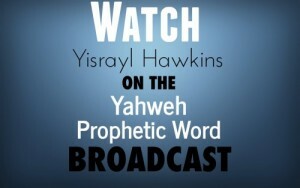 Bringing you news as it relates to Bible Prophecy as foretold by Yisrayl Hawkins. Well today in the news Caton we are going to first talk about Pope Francis and a couple comments that he made regarding the Sabbath day in his interview with 60 minutes. We had another deadly school shooting, this time in Texas and also the cost of America’s war on terrorism over the last 16 years, quite a staggering number there. Caton: And finally we’re going to play a video of the UN Security Council has met once again over the opening of the American Embassy in Jerusalem. Some members are trying actually pushing revive the two state solution. All of this and more, But first we begin with viruses some old and some new. We know hog conditions in America has been pretty tough but now a new virus in pigs is threatening the safety of humans. Caton: The porcine deltacorona virus, which is sometimes deadly to pigs has now been found to cross into different species. That means the virus could be transmitted to humans. The virus was first discovered in 2012 on hog farms in China. Two years later the virus was found in the United States during an outbreak of diarrhea in Ohio. Other countries have also detected the corona virus. Jeff: Not only do infected pigs experience diarrhea, but also vomiting and in some cases death. A new study has traced the same virus back to birds, before pigs and is now saying it can be transmitted to people as well. Caton: Researcher, Scott Kenney, from the College of Veterinary Medicine at Ohio State University says “Future research is actually going to take a look at human blood samples to see if they’ve been exposed to the virus.“ Contracting the virus, Kenney says, will depend on the virus’s ability to bind to receptors on the cells of the animal or human. Jeff: Symptoms in people may be diarrhea or cold-like symptoms and Scott Kenney told RT, “…there are a lot of different viruses that cause these types of diseases and doctors sometimes don’t look at the causative factors in depth, they just treat the symptoms in their patients.” So they don’t really see that these diseases are what they’re fighting against. They’re just treating the symptoms as he said. Caton: Public health experts are alarmed by this new discovery and worry about the outbreak of the corona virus which they say is similar to SARS and MRSA, both life threatening viruses. Viruses that they currently don’t have any cures for on the market, none of their vaccines or antibiotics. Jeff: Half way around the world Central Africa is experiencing a health crisis of its own. Just two years ago an Ebola epidemic quieted down. But now health experts are calling a new case quote, “a major major game changer.” A new deadly outbreak in the Congo has now spread to a densely populated city. Caton: There has been reports of a case of Ebola in the city of Mbandaka which has a population of almost 350,000. Up until this report, there was 44 potential cases and 23 deaths in the remote rural area of Bikoro. However Bikoro is located close to the heavily traveled Congo River which connects travelers not only to Mbandaka to the north, but also to the capitol city of Kinshasa which has more than 9 million residence to the south. So you see they are kind of worried about that potentially spreading and going ‘viral’ very fast. Jeff: There is great fear of the virus spreading rapidly if indeed it does reach these large urban areas. The result of which could be a devastating death toll. In 2014 Western Africa experienced an Ebola epidemic which killed 11,000 people. Caton: Since that time an experimental vaccine has been developed and already 4,000 doses have arrived in Central Africa with thousands more doses to soon follow. So far more than 500 people have come in contact with the virus. The plan is to immunize those infected and hopefully stop the virus from spreading further. But again this is an experimental vaccine so they’re not really sure of the long term effects. Jeff: Well as we mentioned earlier there was another deadly school shooting this week, this time in Santa Fe, Texas. Our field correspondent Larry McGee has been covering the details. Now Larry I understand that things are probably still changing and new details are coming in, but what can you tell us right now? What do you know about this latest deadly school shooting? Larry: In yet another school shooting, ten people are reported to have been killed, this time at a High School in Sante Fe, Texas. Two suspects are reportedly being held by authorities in connection with the shooting, one is believed to have been the gunman, but the role of the second suspect has yet to be clearly established. Larry: True to what has become common concerning these sorts of tragedies, the person believed to be the trigger man was actually a seventeen year old student at the school, witnesses report that the thunder of gunfire began just after the school bell rang; and while that tragically took the lives of ten people, the discovery of explosives in the school later on, shows that the suspect intended to do a lot more damage. of child molestation against the Church, and the usual cover concerning the alleged predators. of rest observed by those who are regarded as Jews, and that it (the Sabbath) should be considered holy. Larry: Following the lead of those who keep and promote the 7th day Sabbath, the Pontiff is now encouraging the world to rest on the 7th day of the week, and to use that time as an opportunity to grow closer to one’s family, and to play. According to the Pontiff, we are not machines, and out of gratitude, one day is the least that we can do. For YPN News, I’m Larry McGee…Caton, Jeff, back to you. Caton: Yeah, yeah and the fact that he said people can play and go out and do whatever they want to do, most would argue that the Sabbath is actually considered a day of rest. So I guess we’ll see what he has to decide a little bit more in the future in regards to that statement. Well America’s war on terror from the years of 2002 in the era of President George W. Bush until 2017 has cost American tax payers almost $3 trillion. $2.8 trillion to be exact. This was spent on counter-terrorism efforts. The amount wasn’t included in the $886 billion allotted to the U.S. military in 2017 and is more than the combined military spending of Russia, India and South Korea. Jeff: Only 59 Americans died by Jihadist attacks while 20,000 died from opioid overdoses, 38,000 from gun related deaths and 630,000 from heart disease all in 2016. While the U.S. military spent trillions, the pentagon and CIA spent billions arming and training militant groups that worked with the terrorist groups like Al-Qaeda and the Islamic State in Syria. So a lot of that money was spent in that training, but again 59 deaths there by the Jihadist groups and we have all these other situations taking place in America, it seem like, why not spend that money in dealing with those issues? Caton: Educating and providing better resources so people can make better choices in their health. Well without ending the war on terror, Secretary of Defense, Jim Mattis said that the U.S. national defense strategy would shift from the war on terror to countering the Chinese and Russian military as well as North Korea and Iran. Jeff: In the face of the U.S.’s decision to pull out of the 2015 Iranian Nuclear Agreement, the rest of the European Union members involved in the pact, said they will remain committed to the agreement. Federica Mogherini reiterated their commitment to keep the agreement in place and regretted the U.S.’s decision to withdraw. She also said that steps leading to oil trading and banking with Iran will also be discussed. Caton: The European Commission has taken to using something called a “blocking status” to get around U.S. sanctions against Iran. It goes into effect in two months but could be put in to force earlier. Everything from airplanes to logistics to energy, European companies are in the running for contracts with Iran that would otherwise be jeopardized with the U.S. pull-out of the Iran deal. The statute doesn’t recognize any court rulings and bans any E.U. member state from complying with U.S. sanctions. Member state governments in parliament can overrule the measure. So they’re finding a way where they can continue to conduct business regardless of the sanctions the United States is placing on not only Iran, but how it affects the other countries that deal with them as well. Caton: It’s interesting that they mention this two state solution again we can take it all the way back to 1993 when those Peace Accords were introduced. That was also a part of that agreement for Jerusalem and the Palestinian People to have their own state in Jerusalem, but that’s been a big fighting point for a very long time, since 1993. September those agreements were signed, October they went into effect, they were shut down three and half years later and its just been nothing but back and forth, back and forth no actual coming to an agreement. Those terms have to be met before they can move forward, but neither one of the countries have been willing to really bend to allow these things to move forward. Jeff: It seems like the two state solution is the only way both sides will agree and be satisfied and many people are presenting that two state solution, but some are opposing it. They are unwilling to let it be. Caton: Even many of the U.S. Presidents have tried to kind of get the ball rolling again with the Peace Accords, but for some reason they failed along the lines. But we are seeing things kind of move a little bit closer to it with President Trump and of course a lot Netanyahu is standing behind his decision. So we’ll see how these things play out, but it’s very interesting to see how we’re moving a lot closer to these agreements coming to pass in Israel and kinda setting up for some big things in the future. Jeff: President Trump has assigned his son-in-law Jerod Kushner to be the one in that area trying to establish peace so it looks like he’s going to have a pretty long road ahead of him. Caton: Interestingly enough too, Yisrayl Hawkins has also written a lot about events taking place in the Middle East in his book, Volumes 1 & 2 The Mark of the Beast that were actually written in the 70’s and 80’s. And also the book Birth of The Nuclear Baby, the explosion of sin, which kind of gives a timeline of these things from that time up to where we are now and how all these things are going to play out in regards to man’s activities in their governments, bring us to a time period of all out nuclear wars. So if you’re interested in that you can definitely contact The House of Yahweh for more information. And once again don’t forget to look at the Yisrayl Says Program by going to www.yisraylsays.com and the Ask Yisrayl Program at www.askyisrayl.com, both excellent tools to help you research any topic in the holy scriptures. You’ll hear Yisrayl Hawkins mention them quite often in his sermons. Go ahead and check them out. You’ll be glad you did. Caton: Well if you’re interested in the scriptures and the Bible Prophecies written therein, stay tuned because up next is Yisrayl Hawkins. From all of us here at YPN News I’m Caton Alexander.